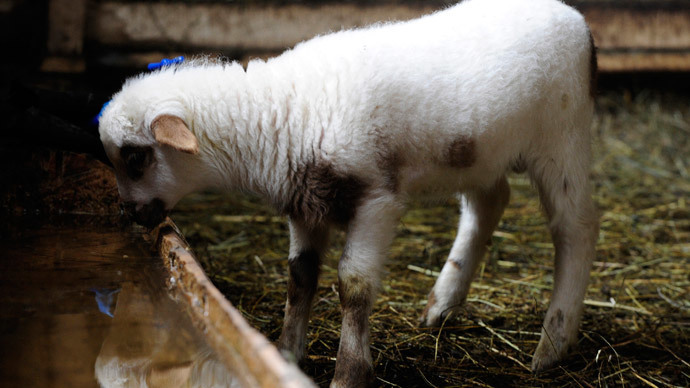 In defiance of all natural odds, a healthy, bouncing, lamb has been born at a farm in Wales – with five legs. The chipper little lamb, named by the farmer as Jake in reference to the song ‘Jake the Peg’, can be seen walking happily around his pen in a video uploaded to YouTube after his birth on April 17. The farmer, Bethan Davies, who runs Rhiwlas Farm in Wales, told the BBC the lamb was thriving and had total control of his extra leg. “We have never had anything like this before, apparently it’s really rare,” she added. However, this isn’t the first time a five-legged lamb has grazed on British land. In 2013 a sheep with five legs named Quinto was born in Morpeth, Northumberland. Quinto’s arrival on April 2 was initially treated with skepticism, as farm hands thought it was an April Fool’s prank. After surgery to remove the extra appendage, she went on to give birth to two lambs in 2015, neither of which suffered their mother’s rare condition. There have also been reports of five-legged lambs born in the US, France and China over the past 10 years.